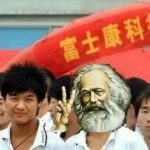 Translation of an article and a photo-essay from the Chinese media platform Tootopia (土逗公社), followed by our commentary. As long as it is “labor-power,” it is low-end. The functioning of a “high-end” city requires millions of “low-end” workers. Here, the fates of all the wretches (漂泊者) who sell their labor-power are interdependent. Nearly a week has passed since the deadly fire at Jufuyuan (“Gathering of Good Fortune”) apartments in Beijing’s Daxing District on November 18. Though the bodies are not even cold yet, the city of Beijing has initiated a total clearing out of its migrant population. Jufuyuan, located in the Xihongmen neighborhood of Daxing District, was a typical residential area for migrant workers outside Beijing’s Fifth Ring Road. 400-or-so migrant workers were crammed into a small building of three stories, one of which was occupied by shops. They slept in bunk beds with an average living space of perhaps one or two square meters each. Every day, facing a nasty and chaotic environment with freezing winters, scorching summers, and overcrowded toilets, they lived inhuman (不是人过) lives, hidden from view. This fire not only took 19 lives but also marked the destruction of millions more as yet another wave of evictions swept the periphery of Beijing. Since the early 1980s, when the first batch of migrant workers entered Beijing in a phenomenon given the derogatory label “blind flow” (盲流), evictions have never stopped. To use a popular expression, the process of pushing out the migrant population is a classic example of successfully utilizing “the two hands:” the “visible hand” of state policy and the “invisible hand” of the market. By strengthening regulation and increasing housing prices and rents, both hands harden and tighten their grips. Migrants can only gradually move to farther out, cheaper places and live in more overcrowded houses. 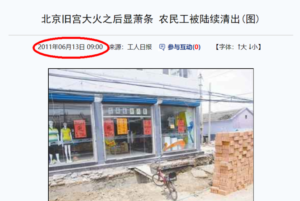 For many observers, “Zhejiang Village” has become a synonym for “filthy, chaotic and substandard” (脏乱差) ever since its establishment in Beijing. Of course, they would not pay attention to the fact that because of the existence of these workers, commodities have diversified, prices have lowered, the variety of breakfast people can buy from street stalls has increased, and household and utility services have improved in quality. As early as 1993, a municipal People’s Congress representative claimed that Zhejiang Village had become not only a center for over-reproduction in defiance of the One-Child Policy but also a base for organized crime. 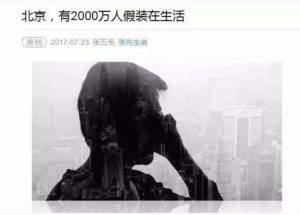 In this account, homicide and robbery occurred there regularly, and when taxis entered Zhejiang Village, the drivers not only failed to receive payment but were also robbed. 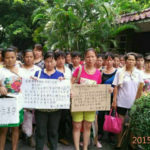 Immediately, the faces of Beijing’s citizens blanched in terror as they called for the village’s complete demolition and the deportation of its residents back to Wenzhou. Later, Zhejiang Village was pushed from the Third to the Fourth Ring Road, and eventually on out to the Fifth. 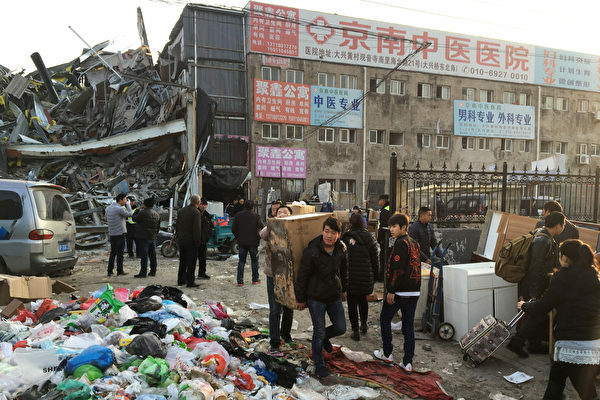 On the early morning of April 25th, 2011, a massive fire occurred in a garment-processing factory in Village Three, Nanxiao Street in Jiugong Town of Daxing District. Eighteen lives were lost in that fire. That fire and the recent one were of a similar nature. Six years later, history has repeated itself and the village is now being pushed out from the Fifth Ring Road to the Sixth. More notably, what happened after the fire six years ago was no different from what is happening now or what happened thirty years ago: eviction. 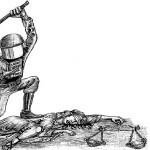 Have these menacing eviction campaigns, so widely condemned every time, actually removed people? No. As the fires of eviction and demolition burn from the Fifth Ring Road to the Sixth, we do not know where it will go next. Constant expulsion was obviously not a solution, so someone came up with a cure: accelerate urban industrial upgrading. This means converting cheap, labor-intensive industries into high-tech, intelligent industries that have no need for low-end labor-power. However, countless studies have already shown this cannot be done. In such a highly modernized city, the social qualities of the division of labor determine that the so-called “high-end personnel” (高端人士)—here defined as those who work in high-tech industries and receive relatively high incomes—require the labor input and coordination of low-tech workers. Moreover, as industry upgrades and becomes more labor-intensive, the more complex the division of labor becomes and the more so-called “low-end” labor is absorbed. Food delivery is one concrete example. Decades ago, when industrial development was far from its current level and the division of labor was less complex, people had to cook for themselves after work, so the demand for a low-end workforce such as professional cooks was less important. As industries have evolved, the work of technological developers has become more and more busy. Having no time to cook for themselves, they depend on restaurants for meals, so the demand for workers such as cooks and servers has grown. In recent years, urban white-collar workers have become so busy that they do not even have the time to patiently eat a meal at a restaurant, so the food delivery industry has exploded. Regarding the demand for labor, this industry requires not only cooks and service staff, but also a vast army of delivery workers, and this, in turn, has stimulated constant growth in the numbers of personnel required for the sales and maintenance of electric bicycles as well. Some have argued that artificial intelligence might be able to resolve this issue [i.e. industrial upgrading’s need for new types of “low-end labor-power” such as the delivery of food and parcels]. This does not work out in practice, however. After this year’s “Singles Day” Countdown Gala, the number of parcel deliveries exploded. A.I. can provide sorting and transportation for large-scale delivery, but it fails at the last mile. When the parcels move from the transfer center (中转站) to the hands of the receiver, they require delivery workers to read the labels and deliver them to the door. The sudden increase of workload caused overloads in the courier transfer centers next to residential communities. In fact, the more the work approaches “the front line,” requiring direct interaction with consumers, the more that work requires human labor instead of machine service. Lu Ming, professor of Economics at Shanghai Jiaotong University, used data released by the US government to calculate that every high-tech industry job requires the allocation of 5 jobs from other industries, of which 2 are skilled service jobs (such as physicians and lawyers), while the other 3 are concentrated in consumer service industries (such as sales clerks and restaurant servers). Compared to this kind of high-end industry, manufacturing’s driving force for employment is relatively weak: a single manufacturing job creates only 1.6 local service jobs. In other words, high-tech industries cannot exist in isolation. Their very operation relies on the service of more low-level industries. The larger the city is and the greater need for upgrade it has, the more basic service personnel (or in other words, the “low-end employment population”) it requires. This is an inescapable fact. While it is not known when the degrading term “low-end population” entered popular discourse, it is obvious that the term was created by self-declared “high-end” elites. Nowadays, however, many people in Beijing probably cannot even decide whether they are “high-end” or “low-end.” There is a saying that “the anxiety of Beijing’s middle class explodes once every three months, each time giving rise to endless commentaries in the media.” Facing physical and spiritual attacks such as insane work hours, expensive mortgages, a cold emotional environment, and even the risk of sexual assault and abuse of their children, the non-low-end masses live in hardship as well. The “996 system” of overtime [in which employees work from 9 a.m. to 9 p.m., 6 days a week overtime with no compensation], their hair constantly falling out, stricken by insomnia and endless anxiety, time to spend with their families becoming ever scarcer, and even concerns about whether their children are being abused at school… these are the everyday lives of the “upper-middle tiers” of the workforce. Perhaps this kind of life is much better than living their days precariously, being chased away in the cold winds of winter, meeting their children just once or twice a year, worried about potential fires in cramped apartments shared by multiple households. It is undeniable, however, that in this rapidly modernizing society, everyone is sacrificed to the same logic that recruits and dismisses labor-power with a mere flick of the wrist, making full use of us to minimize costs, maximize profit and increase the market’s efficiency. It thus seems that we are not human but clearly tools of production, like screws. The difference between “low-end” and “high-end” is merely that between two types of screws with different uses in the production process. The term “low-end labor-power,” although harsh, is undisguised and directly states the truth. Nowadays, however, even low-end labor-power is unwanted. The screws are simply thrown away, so the pretension of human warmth seems to be even more superfluous. No society with a conscience would tolerate such disrespect for people. A socialist society would not tolerate such disrespect for workers and for labor itself. The most basic respect would be to guarantee safe and productive lives for workers: to guarantee clothing, food, shelter and transportation, ensuring their safety and acknowledging the fruits of their labor, rather than kicking them out of their underground hovels on freezing winter nights. Beyond that, they need appropriate infrastructure for living and working. All of these guarantees are only adequate for a low-end worker. After all, the existence of labor-power is imperative in guaranteeing the normal operation of a modern city. These workers, having left behind their rural homes along with their families and children, are already the desperate product of unbalanced and inadequate social development. After all this, how can they also be denied the right even to live? The Beijing Dream goes up in smoke. The entrance gate to the village remains intact, but the buildings have all been destroyed. November 25, 2017 is the seventh day after the tragic fire in Xinjan Village. It is also the “final day of the clean-up” stipulated by authorities. On this day, Tootopia went to the village to record its final hours. As you enter the village you can see a large area completely knocked down: crushed walls, steel and iron, like a mass grave. There is a path that goes across the ruins. The cloudless sky above is blue as far as the eye can see, but beneath our feet it is as if there has just been an earthquake. Above the ruins, there is a bright poster stuck to the wall of the bedroom. Inside the room the heater is still intact. A few days ago there were people living here, but who knows where they have gone. A Hunanese woman told us that during the previous night, while her friend was asleep, dozens of people came and broke the front door open, forcing them to leave. A girl from that house was not even allowed to put her shoes on, so had to leave wearing only house slippers. This barbecue stall in the village is no longer there, the sign just a part of the debris now. In a few short days, the place has become an empty shell. The residents of the neighbourhood have not finished moving out yet, but the shops are already empty. A young man from Jiangxi who’s a casual worker in a garment workshop told us, “When you walk along the street here now, it’s like when the Japanese laid waste to villages during the War of Resistance.” But just a few days ago, this village had everything. He said their factory is moving to Hebei. If the workers are willing they can move to Hebei and work there, otherwise they’ll just go back to their hometowns—there’s no other choice. A young couple from Zhangjiakou, Hebei used to work at a garment factory here. The young man said they will go home and probably never return to Beijing. 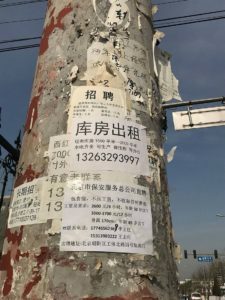 Job advertisements are still stuck to telephone poles. It is almost as if you can still hear the sound of sewing machines from the garment factories, but the ads’ promise of work will now be hard to deliver. The noise from the demolition of buildings continues. The street cleaners are kept busy. On the village’s main artery the excavator engine kicks over, filling the air with a sound that grinds the ears. In the huge piles of debris and rubbish, people try to find some things of value to hang on to. This group, preparing to move house, pack the trailer before leaving. The person in black clothes is supervising the clean-up. The demolition workers cut the electrical wire to the air conditioner. You can see the overhead power lines have also come down. Soon, there will be no water or electricity here at all. Several migrants who lived here are looking for their landlords in hopes of to retrieving their deposits. Unable to find them, they huddle in their cars waiting. It is clear that life has not ended here, yet people cannot enter the village. This village, which once chronicled the joys and hardships of those who built this city, has been doomed to a premature death, but it is hard to kill the anger of the people. If you are an organisation or individual who can provide support for the evicted, please leave a comment below. Following the fatal fire on November 18 and the subsequent mass clearance of Beijing’s satellite neighborhoods, the term “low-end population” (低端人口) rose to the center of a nationwide discussion about the place of migrants from rural areas who live in China’s urban centers. Although this was originally a term used by the state, it became so popular and associated with critical commentary that censors stepped in across multiple social media platforms to limit the term’s use. The goal was to still the ferment taking place on social media about the character of relations among different strata in urban areas and the direction of development projects in China’s largest cities. 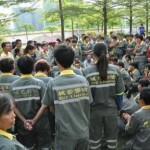 The first article translated above, by the youth-oriented independent Marxist platform Tootopia, was written in response to another widely circulated text that had rejected the term “low-end” and asserted that all city dwellers are equally “human.” By contrast, Tootopia embraces the label as an accurate description of migrant workers’ actual condition, but they argue it could be extended to include many of those urbanites higher up in the social hierarchy, in the sense that they too are reduced to “tools of production” by the market economy. This is one example, indicative of a wider embrace of the term by young activists that echoes the American use of the term “the 99%” in the Occupy movement of 2011. Like the latter, it serves as a stand-in for “the proletariat,” a popular attempt to articulate some sense of class being in the face of growing disparities and increasingly widespread precarity. But, like ”the 99%,” it is mainly used by relatively privileged proletarians in a way that downplays the material realities that still divide the class. And, in contrast with the American term’s implication of a “1%” antagonist, attempts such as this article to unite the “low end” with the “upper-middle” of the “workforce” still shy away from articulating who their common enemy should be. Tootopia are correct to highlight the distinctions that exist between the strata of the urban working population. As they illustrate with the description of Zhejiang Village—one of the most well-known migrant communities in Beijing—there is a widespread, historically-rooted disdain for and fear of migrant workers among those who are better off, even when the latter are workers themselves. Many white-collar workers, whose economic conditions are stagnating, feel an even greater pressure to reach for higher income brackets, and thus their fear of “sliding down” to lower rungs of the ladder has only grown. As in anti-immigrant movements worldwide, the migrant population in Chinese cities has thereby become the irrational object of scorn for the threatened middle strata. 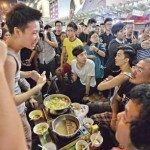 As Peking University professor Wang Hongzhe has argued, instead of viewing middle-class anxiety as growing from a sort of abjection that makes the plight of migrant workers more relatable, it is better understood as a kind of double anxiety about their own future: concerns related to climbing the social ladder coupled with fears of ending up like migrant workers. So why are they now so concerned about migrant workers? Is it because, all of a sudden, they recognize common humanity in the people who deliver their lunches and parcels? Or have they identified a common enemy they share with the migrants? While Tootopia presents a basis from which some such solidarity might be felt, the actually existing resentment between fractions of the same class may be more likely to fester as economic conditions deteriorate, highlighting the dire need for the ability to communicate a clear understanding of class position. In the wake of the brutal evictions, the author, like many others, is asking where the migrants will go: Will they remain in Beijing, as have many in past generations after such expulsions, only to settle again slightly farther out in the city’s periphery? Or will they be forced to return home? Or to one of the rapidly developing satellite cities around the capital? Placing the current purge within a longer history of migrant evictions in Beijing, the author suggests that the city’s development will push these communities even further out into the city limits. But, it is argued, there is a structural demand for these workers within the urban economy that simply cannot be filled by other means—as the example of “A.I.” technologies demonstrates. The article outlines the trajectory of Zhejiang Village to point out that evictions have tended to move “low-end” migrants and their children further away from the center of the city while still allowing them to remain within its outermost limits, yet connected to the heart of its economy. But there are signs that this may no longer be possible. 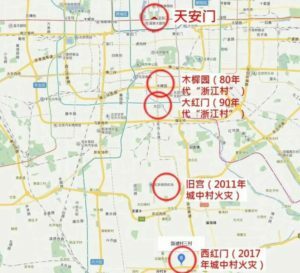 Recent urban clearing campaigns have gone so far as to relocate targeted elements of the city as far away as the surrounding cities in Hebei province. In 2016, for example, the Beijing Zoo Wholesale Market was relocated and its occupants moved to the cities of Shijiazhuang, Cangzhou and Tianjin (290, 220 and 130 kilometers away, respectively) to make way for finance and high-tech firms. The market had been run by migrants selling cheap clothes and sundries, helping to make the city more affordable for many other low-income migrants. The more recent clearance beginning in November is being done with no publicly announced scheme for relocation, throwing into question whether and how local and national planners intend to manage the expelled population. An SCMP article mentions that landlords in Langfang—a city of growing economic importance on the periphery of Beijing that depends on “low-end” temporary labor migration from the larger urban center—were told explicitly not to rent to those fleeing the evictions. Another nearby city, the Xiongan New Area in Hebei (announced as “China’s second capital” by the central government last April), is set to become another major part of the larger Jingjinji economic integration plan, but its purpose is to ease urban congestion by forcing high-skilled industries such as biopharmaceuticals to relocate, rather than absorbing the exodus of low-skilled migrants from the capital. Even before the present round of evictions, Beijing was in the midst of its most significant urban transformation since 2006 (when the city began preparations for hosting the 2008 Summer Olympics). November followed several months of an ongoing citywide “beautification” campaign that has aimed to clear the city of “hole in the wall” (开墙打洞) restaurants, stores and housing units. A secondary goal of the campaign is to reduce Beijing’s population growth. The campaign has targeted illegal homes, which are then destroyed, and stores and restaurants that are operating in areas zoned for residence. Of course, the vast majority of migrants have never really been included in the plans for urban development projects—in China or elsewhere. They are expected to find work in the restaurants and supermarkets, to sweep the streets and drive the taxis (or work for ride-share apps), in increasingly precarious jobs that orbit the city’s core economy. In addition, China is now years beyond the point when unwanted labor could be sent back to the fields to farm, as policy makers had counted on in the past. Recently, the state’s employment prerogatives for migrant labor have shifted to hopes that they may return to their hometowns to become entrepreneurs and help absorb the workforce away from first-tier cities. Meanwhile, such cities (including Beijing and Shanghai) have been setting population caps to fight “urban ills” (城市病)—a dogwhistle term associated with unwanted migrants. It is questionable to what extent population caps can really be implemented. Measures against unregistered migrants used in the 1990s and early 2000s could not be easily reinstituted today. With a significantly greater profusion of social media, the likelihood of organized popular resistance against such measures has increased. This is precisely why the state and municipal governments have to disguise, albeit thinly, these expulsions as matters of health and safety. With this in mind, even certain campaigns of the dramatic war on smog, fought on behalf of Beijing’s middle class, that treat the “low end population” as collateral damage seem much more ominous. But what would actually happen if migrants were pressed enough to give up on first tier cities and start moving back to their home provinces? As the Tootopia article above illustrates, albeit somewhat unclearly, such cities are in a structural dilemma. Beijing and other major coastal cities are currently seeking to definitely re-center their economies around high-tech industries and high-end services, mimicking the experience of cities such as Tokyo, New York and London. But it has been well documented that such “global cities,” in aggregating high-paying labor, also produce “dual labor markets,” in which employment is bifurcated between well-paid service workers at the top of the hierarchy and low-end (often migrant) workers at the bottom. The tech companies that populate San Francisco or the financial firms that dominate London all require a growing workforce to provide basic services, both within the companies (as janitors, for instance) and within the broader service economy (as taxi drivers, food workers, retail clerks, etc. ), as well as within the vast logistical infrastructure that underpins any major city. The substantial growth in immigrant populations within seemingly “post-industrial” cities like New York or London is a direct result of this demand. In the case of Beijing, then, the structural conditions imposed by the economy provide few options. Either workers are relocated farther away, or the economy will begin to experience a labor shortage which will have effects on the profits of firms within the core economy. The latter occurs because, with a shortage of low-end labor, the cost of low-end services will begin to rise. Within firms, this means that more money will have to be allotted for the portion of the wage bill that covers unskilled tasks. In the broader economy, higher-paid workers will have to pay more for basic services. This can produce both a brain drain of sorts (as skilled workers may opt to relocate to other cities), and/or new cycles of unrest among the middle strata. The pressures that already exist among the “996” white-collar workforce are clearly contributing to anti-migrant sentiment, as mentioned above. If the current scapegoats for this anger are removed, however, this anger may begin to be directed upward. When the bottom of the hierarchy erodes, the middle strata will feel as if they are perched over a vast abyss, their position becoming more precarious and the class structure of the economy more evident. If the further development of inland cities and villages actually allows for the mass exile of “low-end labor,” then this may become a real risk. Who’ll be cleaning up the mess then? Of course people began migrating to Beijing for work much earlier than the 1980s. This sort of statement – commonly heard in both Chinese and overseas discussions across the political spectrum – seems to reflect a set of ideological beliefs about the differences between the Mao and post-Mao eras. The grain of truth is that from about 1960 until the 1980s (with the exception of 1967-1968), the state more strictly controlled the movement of China’s population, gradually allowing ever more ruralites to go work in urban areas according to market pressures and their own volition from the 1980s to the present. But before 1960 such movement was also common, not only before the People’s Republic was established but also in the 1950s, when half a million people relocated to Beijing and the population tripled. (Beijing: From Imperial Capital to Olympic City by Lillian M. Li, et al., p. 183.) And stricter state controls in the 1960s-1970s did not mean an end to labor migration but merely the replacement of market forces and personal volition with state allocation of labor-power from rural to urban areas (and vice versa)—often under precarious conditions comparable to those experienced by migrants in Beijing today. Zhejiang Village is a ghetto in Beijing where migrants from Wenzhu Prefecture, Zhejiang Province have settled since the 1980s. For studies of this ghetto, see Strangers in the City: Reconfigurations of Space, Power, and Social Networks Within China’s Floating Population by Li Zhang (Stanford University Press, 2004), and Transcending Boundaries: Zhejiangcun, the Story of a Migrant Village in Beijing by Xiang Biao (Brill, 2004). The November 11 “Singles Day” was a minor, facetious holiday observed by a handful of young Chinese urbanites until Alibaba turned it into China’s and now the world’s largest (by sales volume) shopping event over the past few years. The company’s Countdown Gala is a major televised event featuring international celebrities, with Pharrell Williams and Nicole Kidman appearing at last year’s Gala in Shanghai. In the past, store and restaurant proprietors—who are often migrants—had been able to secure legitimate business licenses to operate in these areas. Instead of revoking licenses, the entrances and windows are bricked up, making it difficult to operate. When their licenses expire, the proprietors are forced out. Where they will end up going and what they will do there is still unclear. There have been numerous studies of this phenomenon, but two keystone texts are: Saskia Sassen, The Global City: New York, London, Tokyo, 1991, Princeton University Press. And: Michael Piore, Birds of Passage: Migrant Labor and Industrial Societies, 1979, Cambridge University Press.